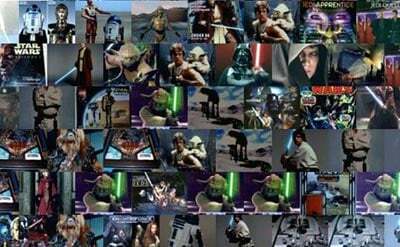 Here’s a cool Star Wars Darth Vader Mosaic Montage which is bound to look good on the wall of your geeky Apartment. 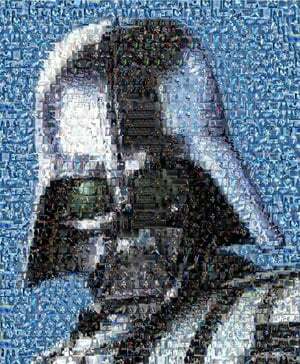 This cool Darth Vader Mosaic is made up of over 1000 tiny star wars images, that come together to make up the image of Darth Vader. As well as the Darth Vader one, there is also a a bunch of other cool Star Wars prints available, a Millennium Falcon, R2-D2 and even a Stormtrooper one. 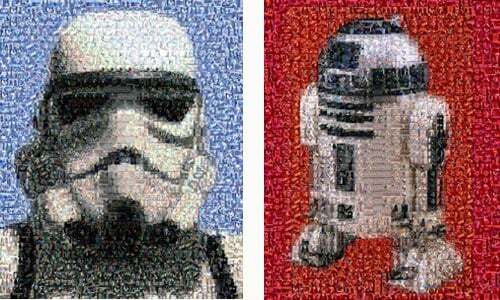 Each of these cool Star Wars Mosaic prints are available to buy online from Etsy with prices starting at $9.99.